While the new governor-elect is a pro-business Republican, the newly elected “Democrats coming in are more progressive and more anti-business” than those they are replacing, Comcast lobbyist Sean Looney told a Baltimore-Washington Chamber of Commerce luncheon. Looney was appearing on a panel of four lobbyists that included the governmental affairs vice president for BGE, Alex Nuñez, and two of the state’s top grossing lobbyists with a wide range of clients, Lisa Harris Jones and Joel Rozner. They were asked a range of questions about the new governor and legislature by moderator Anirban Basu, a well-known regional economist who believes Maryland has not done enough to attract manufacturing and other major businesses to rural areas of the state. 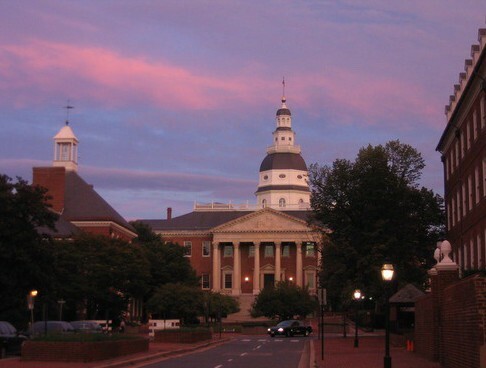 The lobbyists all agreed that Hogan represented a change in attitude toward business, but the legislature was harder to predict with so many new faces — 57 new delegates out of 141 and 11 new senators out of 47, though eight new senators have served in the House. “We don’t know who’s going to be the chair of certain committees,” Harris Jones pointed out. Looney expected that Hogan will have learned from some of the mistakes made by the last Republican governor, Bob Ehrlich, with whom Hogan worked as appointments secretary. Nuñez was encouraged by Hogan’s promise to be bipartisan. “There’s an opportunity to get some good policy work done,” he said. Harris Jones thought some of the first things Hogan will do might not involve the legislature at all. She also expected the new governor to attempt to repeal “some small minor taxes that no one really knows about.” Hogan constantly railed against the “40 consecutive tax increases” under the O’Malley administration. “There will be no new taxes,” Rozner observed. They all agreed that Hogan will likely kill the proposed east-west Red Line light rail project in Baltimore, since he said as much in his campaign. “I think the Purple Line is up for grabs,” said Rozner, who represents one of the companies looking to work on the light rail line connecting Bethesda and New Carrollton. But it was Looney who pounded away about what he saw as the current anti-business attitude of the Maryland General Assembly. Comcast with $65 billion in annual revenues is one of the nation’s largest communications, cable and entertainment companies, and he represents its interests in both Maryland and Delaware. In Delaware, he said if he tells a legislator that a proposed bill hurts a business, they are willing to change or kill the legislation. But Maryland lawmakers will just push ahead without regard to a bill’s impact on business, Looney said. Looney was particularly critical of the annual push to pass a form of corporate taxation known as “combined reporting” that would be particularly harmful to large national firms like Comcast. But “the far left wackos in the Democratic Party think it’s a great idea,” Looney said. Lobbyists would pay to implement the General Assembly’s goals for greater public access to the legislature’s action, under a bill introduced in the final days of this year’s session. Del.